ST. JOHN, Ind. 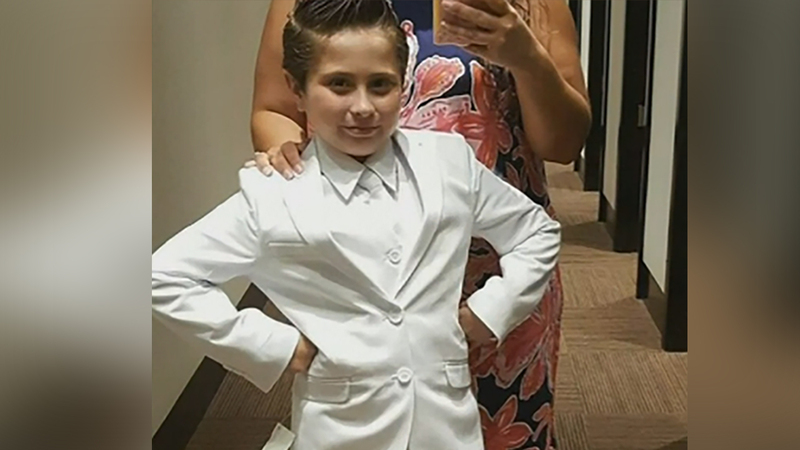 -- An Indiana girl who was banned from wearing a pantsuit to her First Holy Communion is getting support after her mom's Facebook post has gone viral. The mother of Cady Mansell, 9, said her daughter planned to wear a white pantsuit to receive the Roman Catholic sacrament last month at St. John the Evangelist Parish in St. John, Indiana. Not only did Cady miss her First Holy Communion, the Mansell family said they've decided to leave the church and move to a different one in Crown Point. Eyewitness News has asked to interview the priest at St. John the Evangelist. A church spokeswoman says that request is being forwarded to the priest.